Two volumes (24 cm), 844 pp. (consecutively paginated), 25 colour, 242 text illustrations. Publisher’s pictorial wrappers. - Ambitious exhibition of about 130 paintings, 50 drawings and more than 200 engravings by Cranach, his workshop and his sons, Hans and Lucas. 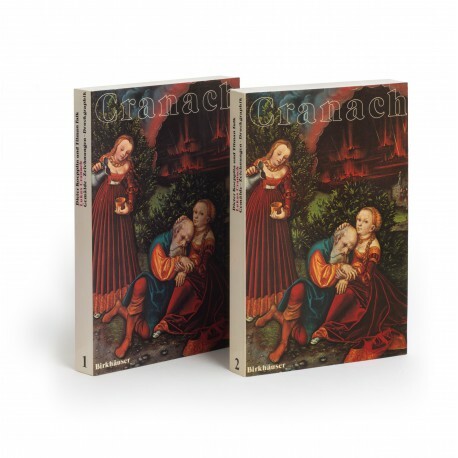 “Cranach-Buchgraphik der Reformationszeit” (pp.307-399). ¶ Fine copy.